Walter Sickert & The ARmy of BRoken TOys have a few traits that I sometimes frown upon, more to my own undoing than anything else. The dual capital letters in ARmy of BRoken TOys bugs me; I’m one for proper capitalization, spelling and punctuation, and it just reminds me a bit too much of the people WhO wRiTe LiKe ThIs. Second is Mr. Sickert’s dreadlocks. The things just creep me out — on anyone. Then again, he does have a somewhat George Clinton vibe going, which is a plus on the appearance side. First and foremost is their opening track “Devil in the Details”, and that’s likely where I’ll be spending the majority of my time. 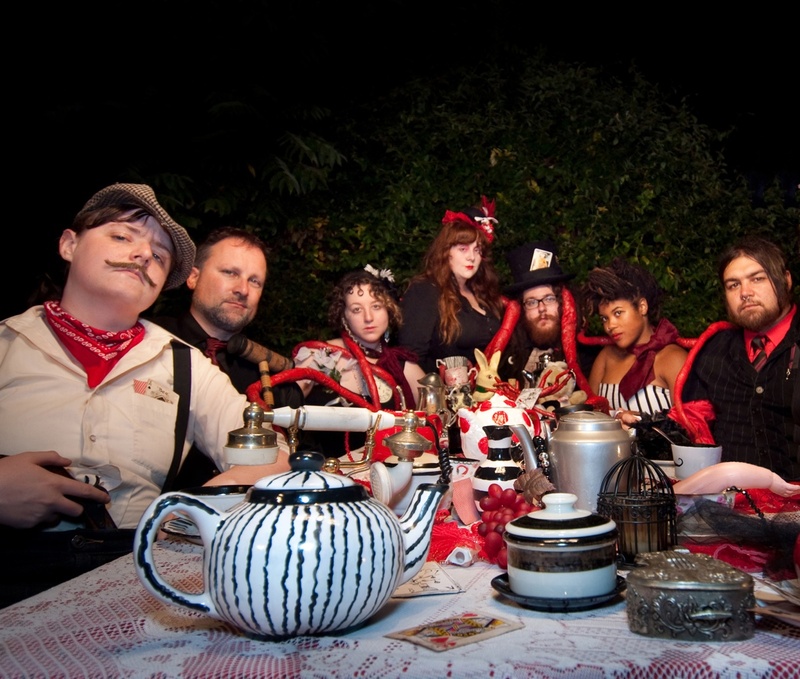 With a vibe that meshes a Devotchka-style of rock, adorned with color, dark-ish instrumentation and theatrics, Sickert and his ARmy bring forth something quite mighty. The name of the band came to Walter in a dream. He had been living in a haunted barn in the woods of New Hampshire and would often record very late at night. During one of these sessions on a mid-winter’s eve, he fell asleep curled under a pile of broken porcelain dolls. The dolls kept him warm and infiltrated his dream, marching as a musical army and finishing the recording he was working on, much like the elves in the tale of the shoemaker. Upon waking Walter realized that the song he had been working on was indeed finished and embarked on a journey to find real life broken toys to join him in his musical alchemy. You get a minor glimpse of this in that opening track, “Devil in the Details”. There’s the sense that what’s lurking within is much greater than that which you can hear; a hint that you’re missing a few senses… that which you can see and feel (and perhaps even smell). There is some really great stuff in here, and I feel that with their recorded work, we’re just scratching the surface. The LP is called Soft Time Traveler and you can find it now on The ARmy of BRoken TOys website.